Although a trip to a museum might make you think otherwise, good fossils are rare objects. Countless millions of animals both big and small have died down the millennia, but only a very few of them have been turned into fossils suitable for display in a museum. There’s a simple reason for this: animals don’t bury their dead. When a dinosaur or a sabre-toothed tiger died, its body would lie where it had fallen, exposed to scavengers and weather. The bones would usually end up scattered and broken, not safe and complete beneath the ground where the slow processes of geology could begin turning them into time-defying rock. It was rare for an animal to die somewhere its bones would remain unmolested. It’s different for human beings. We don’t leave our dead to lie where they’ve fallen: we have funerals, rituals of farewell and remembrance. Down history, we’ve usually placed the dead bodies of our loved ones beneath the ground, covered with earth in a way that protects them from scavengers and the weather. But we haven’t been able to protect them from one thing: ourselves at a later. As insatiably curious creatures, we want to know about the past. That’s why we dig up old burials, examine the bones, analyse the contents of a grave or tomb. In a way, it’s like a funeral in reverse: a ritual of un-burial conducted by archaeologists to discover more about the past. But mysteries almost always remain. This ritual of un-burial has happened again with some centuries-old bones in Panama, the Central American nation most famous to the rest of the world for its canal. But Panama has a fascinating history and the discovery of a grave from about 1300 A.D. has shed a little more light upon it. The bones of a teenaged boy or girl have been found in a grave on Cerro Brujo, or Witch Hill, in western Panama. 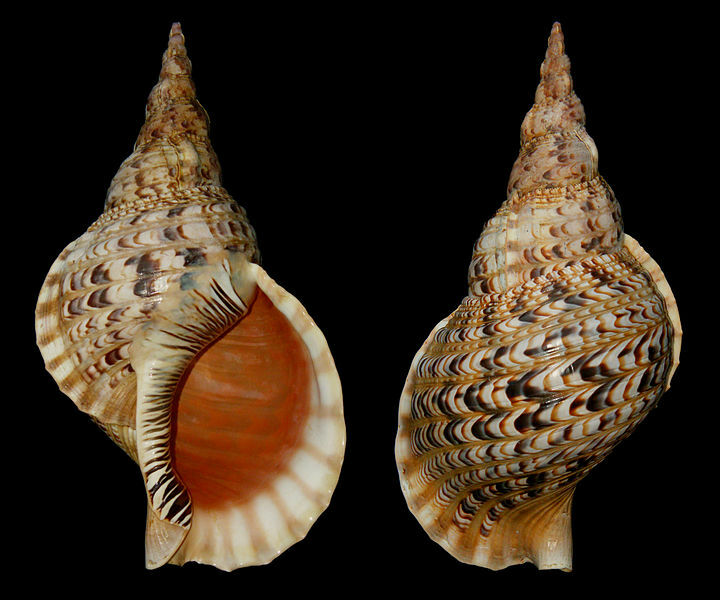 The teenager may have belonged to the Ngäbe tribe, which still occupies the area and still uses shell-trumpets like the one buried with the bones. The trumpets are made from Triton shells and are blown by shamans during rituals of healing – their sound is believed to help drive malevolent spirits from the body. Was the shell-trumpet in the grave used for the same reason? If so, the healing ritual didn’t help the teenager. They died very young, after all, and examination of their skeleton has revealed that they suffered from bone-cancer. But was the cancer fatal? Probably not in itself, but perhaps it weakened the victim and they were killed by a disease of some other kind. Two clay-pots were also buried with the skeleton, perhaps containing food and drink for the afterlife. Further analysis of the bones and burial objects will reveal more, but many questions will probably never be answered. What was the teenager’s name? Were they sorry to die or did they think they would be passing to a happier world beyond the grave? The bones can’t tell us that and they were lucky to survive despite the careful burial. The Panamanian teenager must stand as a rare and anonymous representative of the countless thousands who have lived and died in the region since human beings first migrated there in the distant past.